Suitable for decorating Christmas and other festivals, large-scale exhibition, shopping mall activities, car shop, clothing store, wedding ceremony scene, etc. Made of paper material, great quality and exceptional value. A good gift for your friends and families who want to marry. Available Color: Red White, Light Pink White, Yellow White, Fuchsia White, Light Green White, Orange White, Royal Blue White, Green White, Purple White, Sky Blue White. 2.Please allow slight manual report deviation for the data. 3.Shipped flat packed (simple assembly required). 4.The colorful paper material has not contractility. So when you install it, you should pay more attention to expand it carefully. The lantern should avoid exposing in the sun and rain, high temperature, sharp objects. It also should avoid flapping and squeezing, rain damage. Last but not least, correct operation will help you extend the use of lantern. 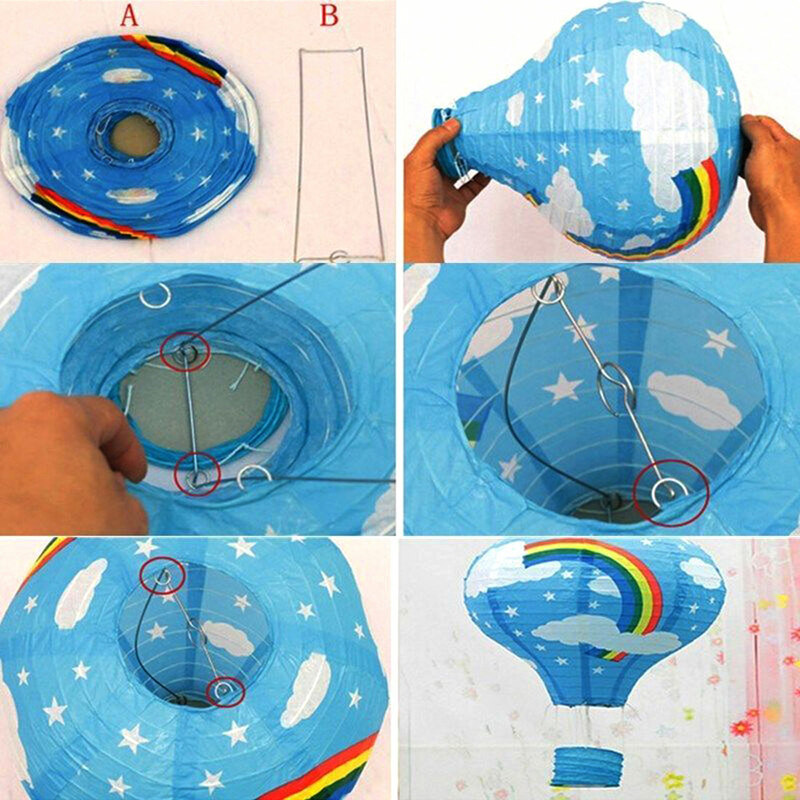 5.Please note that these hot air balloon paper lantern are not intended to float, they can be hanging and used for decoration from arts crafts to wedding. Besides, they cannot shine. Creates fun and festive party decorations with the beautiful paper lantern, and really adds ambiance to your celebration. Perfect for weddings, birthday parties, bridal or any special event. Beautiful design is the best choice for your wedding, party, birthday, aniversory.